So this is the second instalment of the bookish survey I found on the Perpetual Page Turner (for the first part, click here). New favourite book blog you discovered in 2013? Hmmm… there are a few… I really love A Novel Idea (I participated in their event ‘Love Triangles 101‘ earlier in the year, which was a lot of fun) and Semi-Charmed Kind of Life (which hosts some really great reading challenges). Favourite review that you wrote in 2013? I don’t really have reasons why, but I think my favourite was Island Beneath the Sea by Isabel Allende. However, the ones that you guys seemed to enjoy the most were The Sea Sisters by Lucy Clarke and The Sculptor by Gregory Funaro. I really enjoyed the Non Fic November discussions we all had, I think this one was my favourite. I also had a lot of fun debating the pro’s and con’s of love triangles with you. Ooooh that’s a tricky one… Armchair BEA was amazing… I just wish I’d have found out about it sooner, I ended up cramming it all in over a couple of days. I also really enjoyed the Mother’s Curse/Daughter’s Justice blog tour (partly because I got to rediscover my love for fantasy, partly because the author interaction was great). 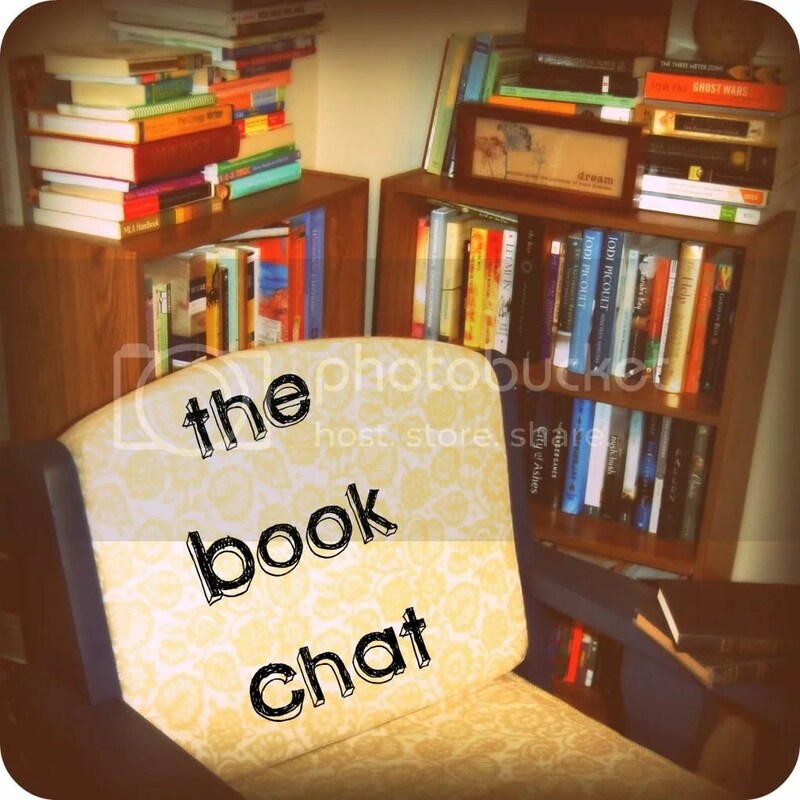 Best moment of book blogging/your book life in 2013? My most popular post of 2013 wasn’t even one that I wrote this year… and it definitely wasn’t one that I’m particularly fond of, but The Art of Benin is a popular with those studying the Arts Past and Present with the Open University. The next two most popular were two of my arty posts, the ‘myth and magic’ note card tutorial I published a while ago, and how doodling helps me to de-stress. Is that a trick question? All of them! I discovered a couple of really fun book memes this year, particularly Top Ten Tuesday and Book Chat – they’ve led to me making some great book blogging friends, and helped me to find some fab new blogs to add to my daily reading list! I also discovered NetGalley this year, which has been a really good way to discover new authors, even it has added a lot of ‘review pressure’. Well as I mentioned before, I managed to complete my goal of reading 50 books this year. I also stuck to one of my New Year’s Resolutions by hosting my own reading challenge (that I will be continuing with next year). All in all, I’m glad with the way my blog has developed over the past 12 months, even if it is getting progressively less ‘bookish’ and leaning more towards the creative side of things… I’ve really enjoyed redesigning the layout of my blog, and learning so much more about how to generate great content and work on the visuals… I’ve even become brave enough to share Doing it the Open Way with everybody I know (which was a HUGE step for me). How about you? I’d love to hear what you’ve enjoyed doing to your blog this year. Do you have a favourite post you’d like to share? 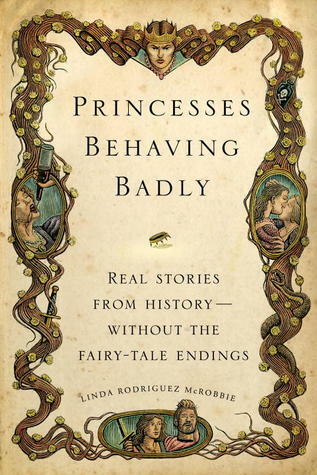 This was one pretty epic book, and kind of the example that proves the rules that non-fiction takes forever to read! Despite it taking a few weeks of investment, I really enjoyed it. I have a bit of a thing for the underdog, so I really loved that the author consistently defended a personality typically viewed as a bit of a monster. Her research was impeccable, and rather than filling in any blanks with guesswork, Quinn held her hands up and said “I’m not sure what really happened but I’d like to think it was this“. The life of Rose Thompson was a whirlpool of eccentricity, scandal and dedication, and I would fully recommend you immerse yourself a little. This is a woman who carved out stellar careers for two daughters, inspired three memoirs and a Tony award-winning musical as well as multiple films, a newspaper series and a character in a crime novel. You owe it to her to get to know her. In a nutshell, Mia Farrow has lived a ridiculously fabulous life. Every memoir I’ve read before this one has been about a person who started off with a normal life but went on to do something that would put them in the public eye. Farrow, on the other hand, was born into the glamorous Hollywood bubble of stardom. The book was a pleasure to read; her narrative tone is welcoming and compelling and I love that she makes no apologies for any of her life choices, despite overwhelming judgement and pressure from the media. The way she talks of her marriage to Frank Sinatra makes me nostalgic for a time I never even experienced… and her astounding grace in the face of a horrific and highly publicized event just makes me love her. I encourage you to pick up a copy and read it for yourself, because no review will do it justice. I read this in the hope that it would re-inspire me… as I’ve been in a bit of a creative rut recently. Unfortunately I found myself very disappointed. Rather than stimulating my artistic cells, it almost bored me to death. If you want to coordinate some cringeworthy team building or generate some ‘creative solutions’ to business problems, then this book is for you and I’m sure you’ll find there to be some valid tools… it just didn’t fit my purpose. I also found the writing style to be quite fake – it felt like reading a sales pitch rather than a helpful guide. All in all, not my fave. Erm… first observation… it has a really long title… After really enjoying the ‘food history’ aspects of How to Avoid a Soggy Bottom I wanted to read an olde worlde cook book during Non Fic November. Originally published in 1796, this one definitely fits into that category, and is actually the first known recipe book to have been written by an American. The ‘God Bless America’ mentality is evident from the very first page (actually, it’s evident from the front cover…) but it’s more quaint than annoying. I’m probably not going to cook anything from the book, but I love some of the phrases she comes out with (my fave being the assertion that garlics are far better suited to the brewing of medications than to foods… because the French use garlic, and you know what they’re like…) What a gem! I would love to say that I’ve been a Tina Fey fan for years, that I watched her religiously on Saturday Night Live, that I have every episode of 30 Rock on DVD, and that I went to all of her early improv shows. However, then I would be telling you four lies. To me, she’s the teacher from Mean Girls. Despite not really knowing who she was (and being far too English to have noticed the infamous Sarah Palin thing) I really enjoyed the book. She’s just so funny! I’ll admit that there was the odd joke that I didn’t enjoy, or rather, that I didn’t think was completely necessary (I’m more of a wry/sarcastic/satirical person) but there were a few instances of embarassing ‘laughing on the bus’ while reading. Bossypants is really accessible, and offers a fascinating peek into the world of comedy, something I know next to nothing about… I would definitely recommend this book to anyone out there that finds non-fiction a bit dry… because this is anything but! And here concludes all of the Non Fic November posts for 2013, I hope you’ve enjoyed reading along… but let’s get back to those novels! A collection of essays musing on the often thorny topic of how clothes and make-up contribute to women’s personal identity and expression of self, I particularly enjoyed Diane di Prima’s (b.1934) essay Ideas of Fashion from the Great Depression to Today and A Torrid Affair by Cookie Woolner, who writes, “The mainstream fashion and beauty industries exist to keep us alienated from our bodies and desires, in a constant cycle of consumption and false expectations. Fashion should be about joy and expression, not fear and loathing – loving and truly inhabiting our bodies, not hiding from them.” She had me nodding along frantically! I loved this book, which got me reflecting on the style choices I have made over the years (and made me excited about trying out red lipstick for the first time in my life: turns out it looks great, who knew?). Be prepared for it to change the way you perceive the contents of your wardrobe and your make-up bag. I read How To Be Free two summers ago, just after returning from America. The trip had already got me thinking about the way I lived and my work-life balance (or lack thereof), and Tom Hodgkinson’s book – which is part comic writing, part political polemic, part philosophy, part manual for changing your life – was just what I needed to bring my thoughts into sharper focus. It kickstarted my Not Buying It experiment in autumn 2011, and indirectly led to my £100 Challenge in autumn 2012. As a result of reading this book, I cut my hours at work and managed to pay off a large chunk of credit card debt. It genuinely changed my life. An account of writer Salzman’s first year of teaching creative writing at Central Juvenile Hall – a lockup for Los Angeles’s most violent teenage offenders – this is a sometimes uplifting, often depressing, always inspiring book about the power of education, the power of the written word, the impact of teachers on young people’s lives, and more besides. 4. Jeanette Winterson Why Be Happy When You Could Be Normal? Winterson’s autobiography covers much of the same ground as her debut novel, Oranges Are Not The Only Fruit. I loved this beautifully written, poetic account of Winterson’s childhood and her adult struggles with her past and her adoption. As much a paean to the power of literature to change lives as an autobiography, I especially enjoyed her musings on working class identity, the changing face of the North, and feminism. A seventeenth birthday present, this is a collection of interviews with the women who were making waves in music circa 1994-95. From big stars such as Bjork and Courtney Love, to Britpop frontwomen like Echobelly’s Sonya Aurora Madan, reading these women’s own words was inspirational to me as a teenager. I can’t recommend Girls To The Front enough. 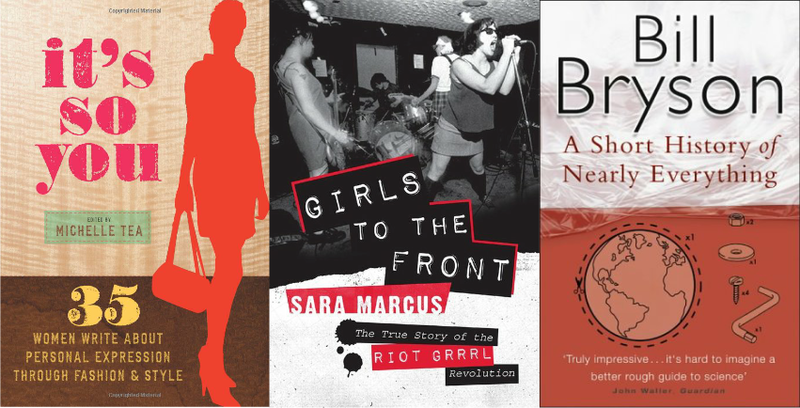 It’s a heartfelt, passionate and beautifully written account of the genesis of Riot Grrrl, focusing on the Olympia and Washington DC scenes but encompassing the stories of girls and women from all over the USA. If you are at all interested in the 90s, in feminism, or in music history, then this is a great read. A really wonderful oral history of grunge and the Seattle scene that birthed it. Full of great gossip and fascinating recollections, it’s a must-read if you enjoy early 90s music. This book was a Christmas gift almost 20 years ago (yes, I am actually THAT old). A collection of fans’ stories about Smiths songs, my copy is full of penciled notes and underlinings in true adolescent style. A lot of the tales are – rather like the songs themselves – rather keen to wallow in their own misery, but it’s a great reminder that when you think Morrissey is singing just to you in your loneliness and isolation, there’s no doubt someone next door thinking exactly the same. A book that should be required reading, it represents an incredible achievement by Bryson: to write a science book that is truly for the layperson. Covering everything from quantum physics to geology and biology, it is as entertaining as it is educational. When I was a teenager I wanted to be Moran, who was a writer for Melody Maker by the age of 16 and presented Channel 4 yoof show Naked City in all her Doc Marten-ed, dyed red hair, size sixteen-glory. I loved her book – which is part memoir, part feminist polemic – and still can’t quite get over the fact that it won the Galaxy prize for best book of 2011. Even if this book was rubbish (which it’s not: it’s funny and moving and incredibly clever), I’m excited that a book about feminism is at the front of WH Smiths. Hey Guys! 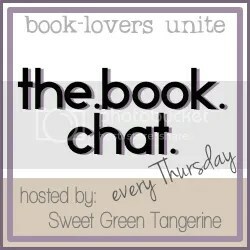 Today I’m co-hosting Book Chat with Jessica over at the Tangerine, and this week the topic is (you’ve guessed it…) non-fiction! One of the reasons I decided to embark on this Non Fic November journey was to make my way through some of those pesky ‘to be read’ piles. The other day I posted about all the things I’m planning to read over the month, and so far I’ve managed to stick to it (yay!). However, I appear to have added a few more to my wish-list… I’m not even going to try to justify this (I actually, that’s a lie, I keep telling myself that this is allowed because Christmas is coming and people need present ideas). One of these days I’m going to have to embrace the fact that I’m just destined to be a spinster with a cat collection, and towers of books to reinforce my damp walls. If you’ve read any of these, let me know your thoughts! I have wanted to read this book ever since I studied the World Wars for my A-Levels. 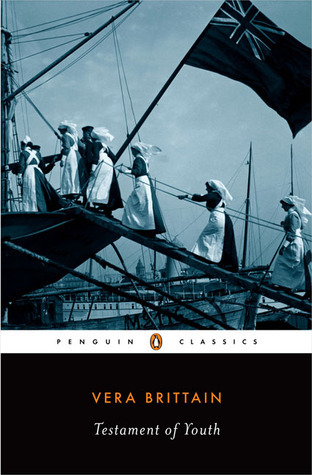 It tells Vera’s story after dropping out of Oxford in 1915, and enlisting as a nurse with the armed forces. After losing practically everyone she loved by 1918 you can expert tears, lots of tears. And I have a sick kind of love for books that can make me cry. Cat Arnold was my creative writing tutor last year, and ever since meeting her I’ve been intending to add these to my collection. 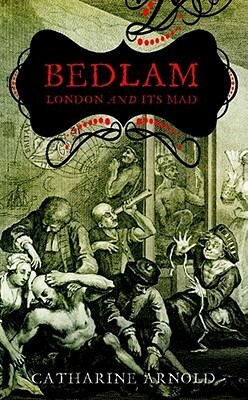 She’s also written a few more in this series, all chronicling the seedy underbelly of London’s history. 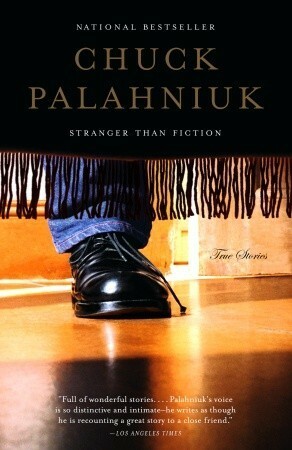 Despite being completely scarred by the first and only Palahniuk novel I’ve read, I really like the idea of this one. Essentially it is a series of non-fictional anecdotes that have inspired his works of fiction. I may not be ready for the end result, but I think I can deal with the inspiration… no matter how strange! This one only crept onto my list this morning after reading Megan’s Non Fic November post, but I NEEEEED this book. Described on GoodReads as being for ‘history buffs, feminists, and anyone seeking a different kind of bedtime story’, this one is so up my street it’s sat on the doorstep. Ok, so technically this book has not hit the shelves yet, but it can be pre-ordered. 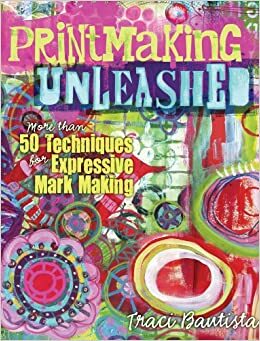 I adore Traci Bautista – she is one of my favourite artists; I’ve taken tons of her workshops, and have copies of both of her other books, so this one is an absolute no-brainer for me! 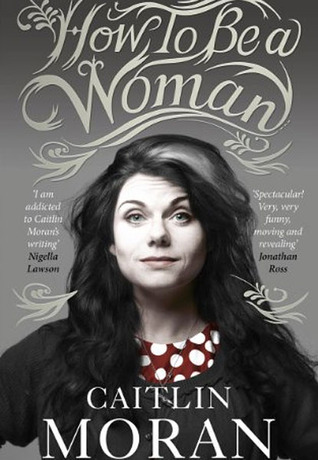 Caitlin Moran is funny. That’s about the gist of it. Nobody has better Twitter rants/vicarious romances with Indiana Jones and because of this I’m expecting marvellous things from her book PLUS how cool is that font? So tell me, are you reading (or planning on reading) any non-fiction this month? If you are, I’m always willing to accept recommendations! Unfortunately due to WordPress incompatibilities I am unable to paste the linky widget here, but please feel free to link your posts up on Jessica’s blog – I’ll come and check them all out! Health: I don’t know if “health” is the best word for this category, but this is for book pairings that address medical or other conditions. Other ideas for topics include sports (e.g. a fictional book about a high school football team and Friday Night Lights), religion (e.g. Angels and Demons and a nonfiction book about the history of the Illuminati) or basically anything that interests you! A copy of this schedule will be added to the Non Fic November page (where you will also find details on how you can participate should you feel so inclined). Each day I’ll update with links to the posts that have gone live, so you won’t miss a thing! 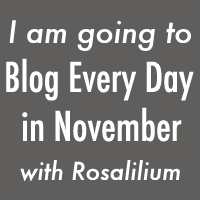 I know what you’re thinking… it look scheduled for a helluva lot of posts this month… well that’s because I’m also taking part in Blog Every Day in November with Rosalilium. I enjoyed the May event soo much, that I couldn’t miss this one PLUS I’ve been in a bit of a blogging lull recently, so hopefully this should inspire me to pick things up again. I won’t be following along with all of the prompts this time, due to all the aforementioned Non Fic November posts, put I’ll definitely have a go at a few of them. Following the tragic death of his parents a young boy goes to live with the grandparents he barely knows in Round Rock, Tennessee. This book appealed to me because of my literary obsession with the 1940’s, so I was thrilled to receive an advance review copy from NetGalley/Greenleaf Book Group! I’m thrilled that Little Joe is the first in a four-part series by Michael E Glassock III; the second (The Trial of Dr Kate) is now sat at the top of my ‘to be read’ pile. The writing is just fabulous. From the offset I was sucked in. I loved the ‘small town’ shenanigans and Southern charm dripping from each and every page. 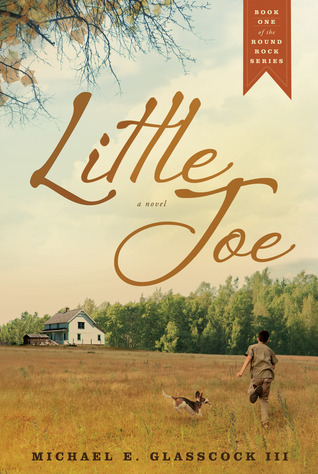 I generally adore anything even slightly historical and this book combine two of my firm favourites – World War II and racial tensions in the American South, but both are dealt with in an extremely subtle way; they provide context to Little Joe’s story, rather than being the full focus of the novel. Plot-wise there was a good balance between quaint, amusing moments, shared frustrations and pure heartbreak. Glassock seems to have the knack of making you feel what his characters feel. All in all it’s a very well-rounded read; you can empathise with both the troublesome child and the strict grandparents… which is a real novelty. With most books you definitely feel like you’re on someone’s side. Having said that, my favourite characters had to be Joe’s grandparents. They had quirks, they had layers, and they had an air of mystery lingering around them. Joe may be curious about their secrets, but so are we. I thought the ending left a lot to be desired. The novel as a whole was consistently steady-paced until the final chapter. The ‘big event’ was massively anti-climactic (and quite out-of-place considering the character development that had gone on). And then the final scene was just pointless, it seemed almost like an afterthought to be honest, as though the author just wanted to write something to close the book. I would have preferred it to end a little more decisively.